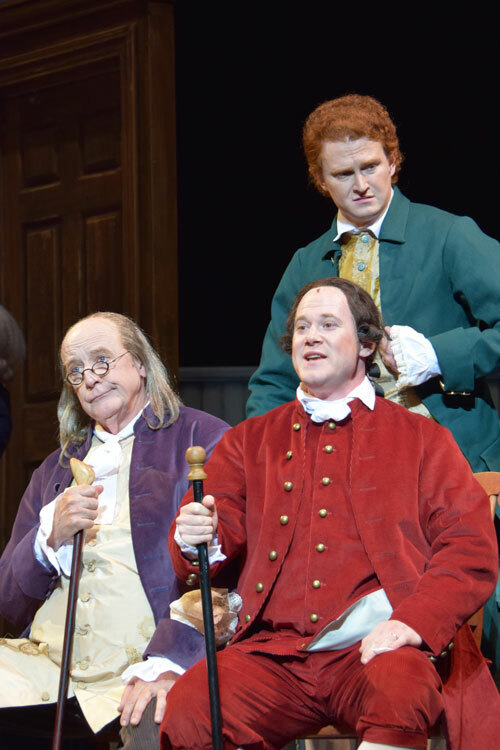 CCMT revives a goofy musical trifle about the signing of the Declaration of Independence. Read my review in the East Bay Times and Mercury News. Sam Leeper, John Hetzler and Benjamin Pither in 1776. Show #118 of 2016, attended October 7.